Good evening, dearest readers. I have had a particularly Autumnal day, blessed with a long walk and sloe and rosehip picking. Tomorrow I shall purchase enough gin to ruin all the women in Whitechapel, and plunge those little black berries into the crystal liquid, then wait for Christmas. As for the rosehips, I shall boil them into syrup and evade the dreaded cough and consumption for another season. Or that's the plan. Anyhow, here is my personal tribute to this marvellous, russet-stained season, filled with enough mist and mellow-fruitfulness to keep anyone happy. 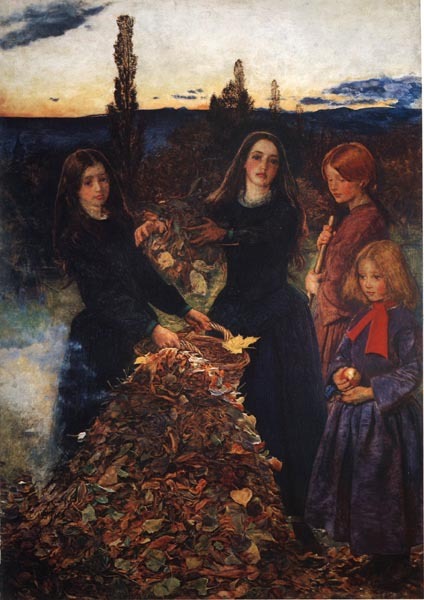 Well, I was either going to start with this or Autumn Leaves by Millais. 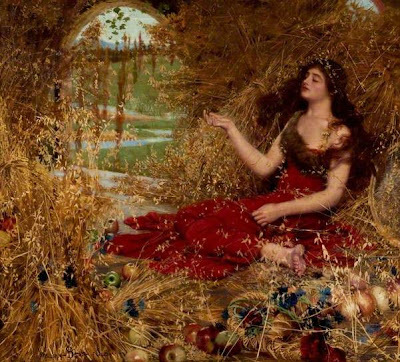 One of the things I love about Autumn is that it is often sunny enough to lounge about on a rug of an afternoon, but I do not feel the pressure to remove any layers of clothing. What jolly fine quality of sunshine is on show here, with the sun low enough in the sky to cast a long shadow over the couple as they view the changing trees. Before we end up on a blanket with a likely-type in a hat, I think we have a moment to relax on a pale beach gazing out at a still ocean, mirror-fresh with its cool blue. Again, it looks unnecessary for me to even consider the horror of any swimsuit (even though I've always fancied one of those Victorian numbers to emerge from my bathing machine in) or even the need to remove my coat. 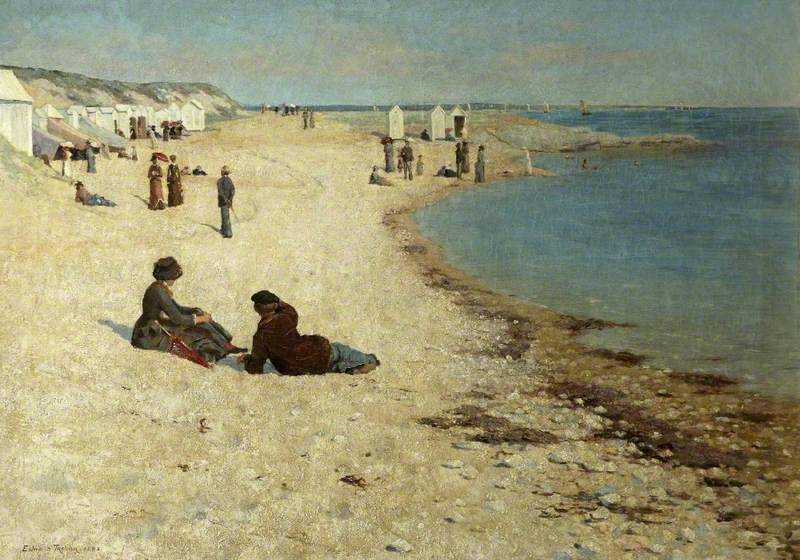 I often go to the beach in the Autumn, I much prefer it and this year's pilgrimage to the Isle of Wight will occur in late October, all huddled in a soft scarf and velvet coat. 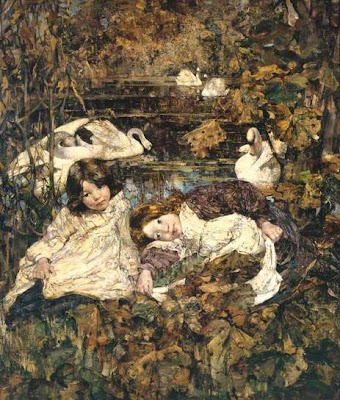 I was surprised by the amount of art available under the tag of 'Autumn' as painters seem to love not only literal images of people in the autumn but also mood pieces and symbolic wonders. 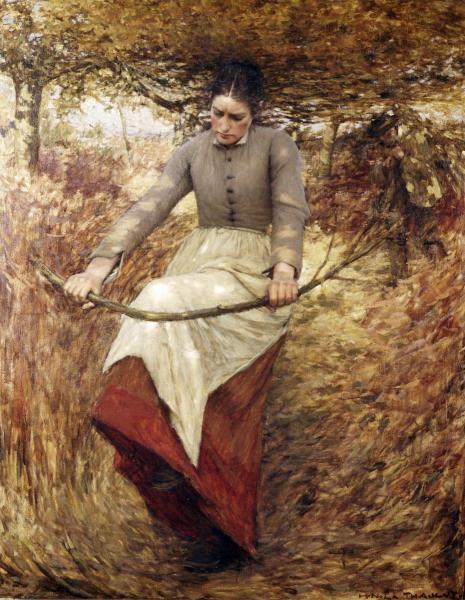 It's hard to see how literal this one is, although she looks quite meaningful in her dedication to gathering firewood. There is determination on her face, and a little resignation, as she knows her job from here on in will only get harder as the season slips into Winter. Again, at first glance this seems a straight forward image of the artist's daughters posing in the Autumnal sunshine on a riverbank, but see how the girls white smocks are reflected in the plumage of the swans, as if the artist is aware that his little girls will grow into women soon and this is the autumn of his role of protector, the sole authority to these children. Bring on the metaphor! 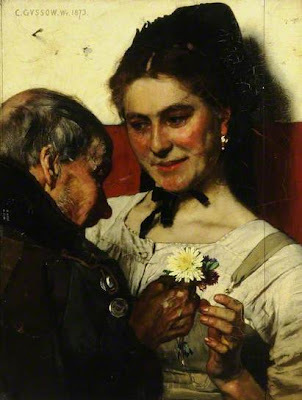 I've never really had a handle on this picture, is the old soldier Autumn? What of the other figures, are they his daughter and granddaughter, or wife and child? I'm not judging if it is his wife and child, I've always had a weakness for older chaps. What is the significance of him being a soldier? 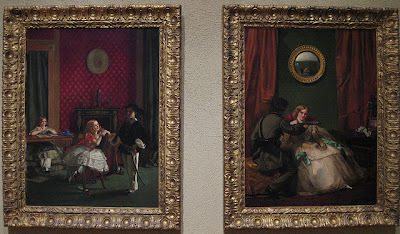 The red of his jacket contrasts with the green of his lady companion's dress. What of the things in the foreground? Oh heavens, this is far too complex for a Saturday night, especially after I've opened a bottle of wine. Let's just say that the older man is the dignity of Autumn, the figure which still has the trappings of the earlier time (Summer, the military jacket) but is losing them (the leaves will fall, the jacket is unbuttoned) and my wine is delicious. This is an interesting image, because for a moment I was confused. The flower seems fresh and young, why would it be autumn? Oh, I see, it's not the flower but the people who are autumnal. 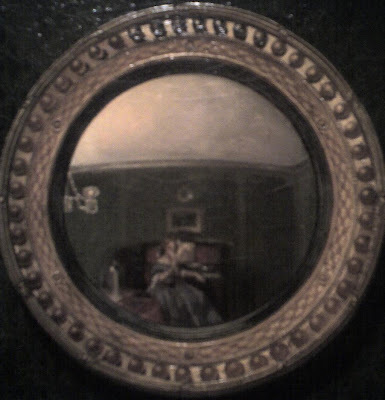 I wondered if the black ribbon securing the hat of the lady denoted her state as a widow, and possibly the dark clothes of the man denoted his similar state. 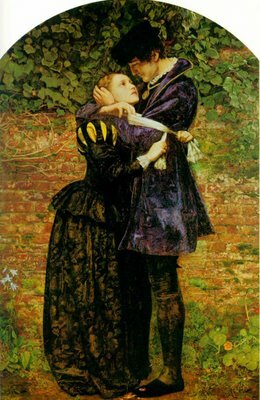 The couple are embarking on a romance in the autumn of their lives, yet both seem delighted and involved in their love. Good luck to them. Oh dear. The problem with autumn is that it does rather seem to be the season of regret, the time to look back and sigh 'My word, that went badly, I made a total fool of myself, didn't I?' 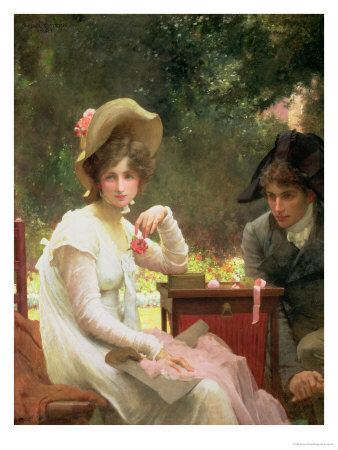 while I friend looks on stoically and secretly thinks that you did indeed make an utter fool of yourself, and now you're sat on a stone bench and will probably end up with piles. Or possibly someone has died. Not sure why that is linked with autumn? I wonder what the remarriage rate was? If you were a young widow, especially with money I guess your chances were good, but a woman of say around 40 (she says, taking a hearty swig of wine), past her prime (another swig of wine), you know you'll end up with a mop cap and a cold behind. This changed my mind, so I was going to do a piece on this lovely picture of Fanny. 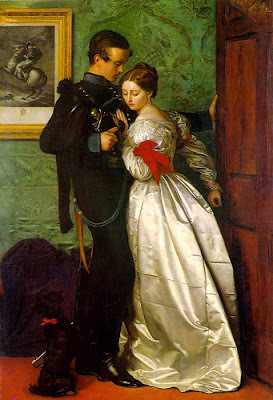 This image comes from 1862-65, after Lizzie Siddal's death and the subsequent move to Cheyne Walk. 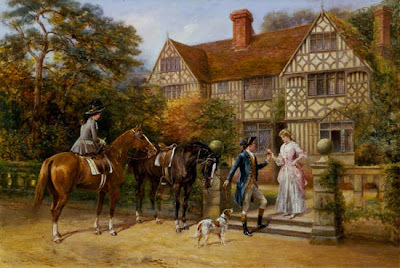 This was Fanny's heyday, she was Queen of Tudor House, assured of Rossetti's love, the centre of his art, before Jane's reappearance, before Alexa Wilding. 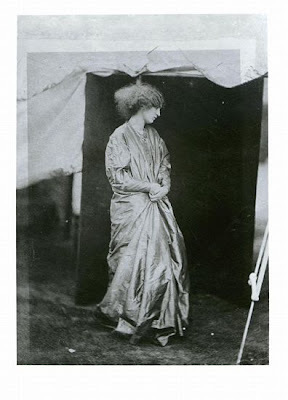 Fanny had completed her transformation from blacksmith's daughter and housemaid, to one of the most admired faces of the bohemian art scene, hostess at the table of one of the most famous artists of his generation. 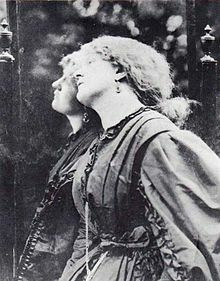 It's not often that I get to mention Lady Gaga and Fanny Cornforth in the same breath, but this week I began to get them mixed up due to the very similar media coverage both have received. 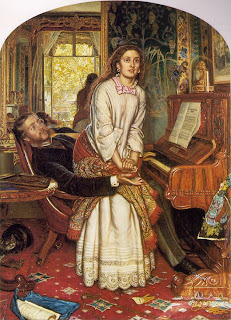 Thanks to the increased publicity that Pre-Raphaelite art has received, due to the Tate exhibition, Fanny has been mentioned in Press, Blogs and the such like, and time and time again she has been described as 'fat', 'plump', 'portly' and all manner of other words meaning the same thing. Did the writers of these pieces call Jane or Lizzie 'skinny'? Possibly once or twice, but on the whole their names could be mentioned without prefixing them with an adjective. What is wrong with us? 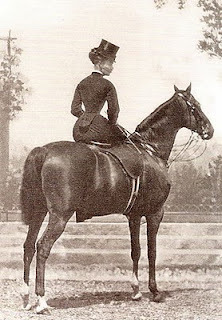 If your images of women are figure-eights, two perfect little spheres balanced on top of each other with the teeniest waist in between, then Fanny does look as out of place as the woman above would look to us today. 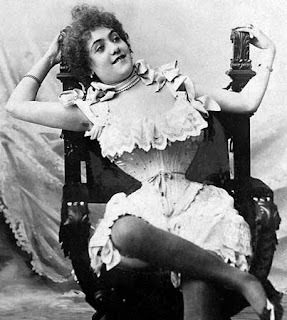 By abandoning her corset, Fanny adhered to aesthetic dress with the barest waistband holding in all the fabric. I dread to imagine how much fabric is in that frock, it is endless and would cost a fortune. Rather splendid though. Equally lacking in the waist department as Fanny, but Jane is never referred to as plump or waistless, so what is the difference? 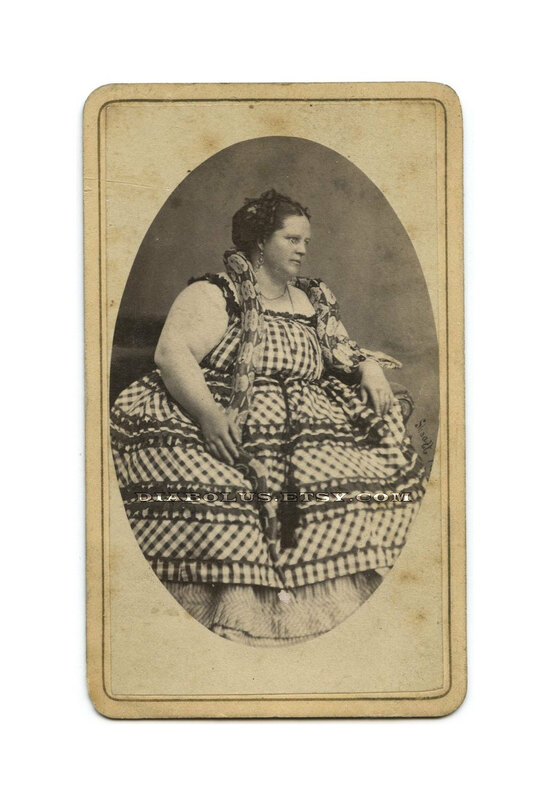 Firstly, historically it was never said of Jane that she was fat or in fact any comment on her weight. 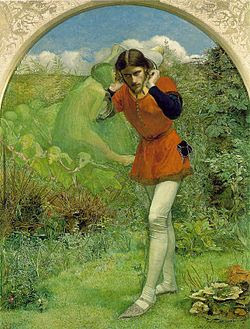 Jane was shown respect during Rossetti's life and after it. Fanny most certainly was not. Mind you, not that many contemporary sources referred to Fanny as fat. They were too busy calling her a thieving illiterate whore. But not fat, so that's alright. 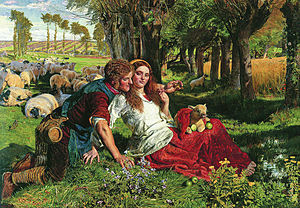 Fanny's greed for possessions has often been transferred into a notion that she was greedy and therefore fat. 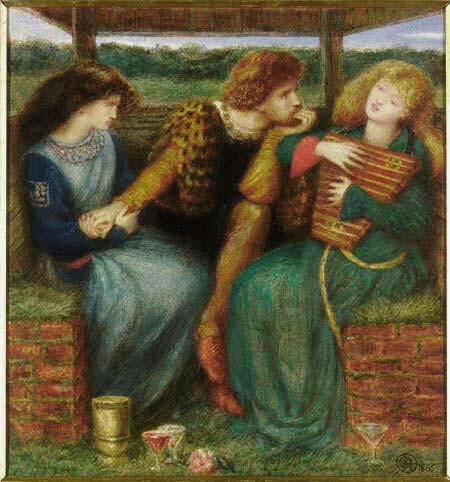 Her acquisition of items, rightly or wrongly, from Rossetti had somehow translated into 'fat' as if she was eating the paintings she 'stole'. Isn't it odd how we often think of people who get rich through no effort of their own as 'fat', as in 'fat cats'? 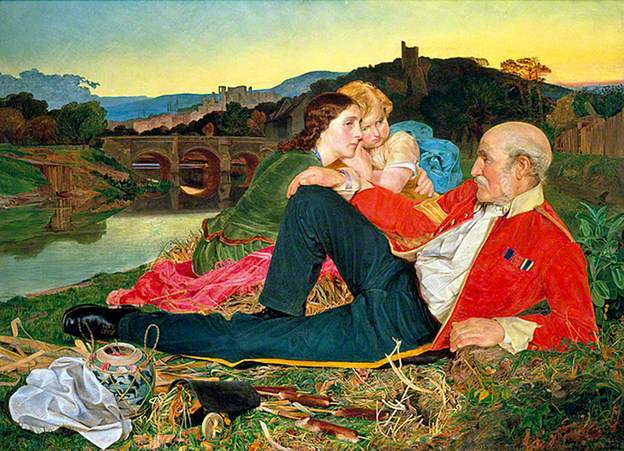 I've always thought that the permanent labeling of Fanny as fat started with the rebirth in interest in Pre-Raphaelite art in the 1960s. I wonder if it has any connection at all with the utter crisis that seems to occurred in female body image, springing from the decade that gave us supermodels with figures that rejected any notion of traditional feminine curves. 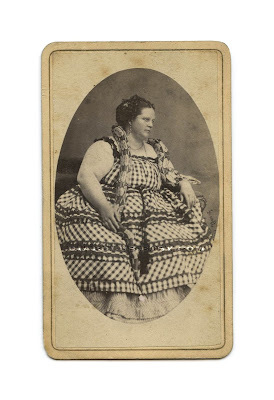 Fanny, through her nickname 'Elephant', became the fat muse. We never for a moment consider that Rossetti called her Elephant because she never forgot. No, it's because she's fat. Gaga made a very bold statement when she appeared in her meat corset this week, or at least she seems to have made others make many bold statements. Is she a good role model now she's fat? Is she going through a crisis because she's fat? I suspect that Gaga is astonishingly shrewd and she just proved her point as the media descended to pick her over like a piece of meat, while she was wearing a piece of meat. How many meals did Lizzie and Jane consume in that excellent documentary Desperate Romantics? How often was Fanny seen with something in her mouth? Okay, I'm being basic because we know a few things for certain about Fanny and food. Firstly, she loved to eat. This sounds stupid at first because who doesn't love food? In a landscape of women who were unwell and missing meals, Fanny's love of eating out is documented in George Boyce's diary, and her love of cooking is apparent in Rossetti's letters, where he bemoans that a pudding made at his friend's house where he was staying was not a patch on hers. 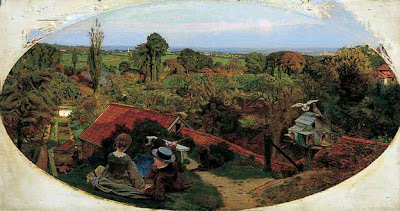 While I have been writing my Pre-Raphaelite novel, I have Fanny eating quite a lot of the time. Mind you, everyone eats quite a lot of the time in my book, it's that kind of book. Is there a male equivalent to calling a woman 'fat'? I was trying to think of one because Rossetti, who undoubtedly got fat during the 1860s and 1870s, is rarely called it, or if he is it doesn't seem to carry the same weight, if you excuse the pun. I'm going to stick my broad neck out at this point and suggest that I don't think men care as much about a woman's weight as women do. For a woman, being called 'fat' is one of the most awful things you can call them because it carries with it such value-judgements. When we call Fanny or Gaga 'fat', that isn't what we mean. We mean uncontrolled, lack of care, greedy, consuming, selfish, incapable, possibly also stupid, ugly, useless and so on, down and down. It rarely seems to mean that you are larger in mass that an officially agreed amount. For the Victorians, the notion of 'fat' had moral connotations, so do we really want to play that simplistic game? 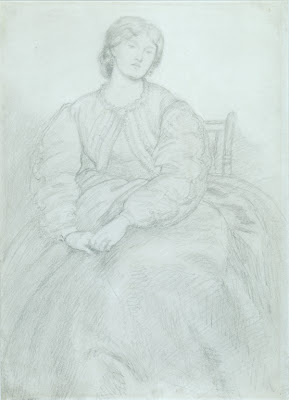 Going back to my original train of thought, Mark Samuels Lasner generously showed me his beautiful sketch of Fanny, and to my mind (and Rossetti's) Fanny was a Stunner, a gorgeous looking woman, whose mass may have been greater than that of Lizzie Siddal or Jane Morris, but what of it? Gaga may have increased in mass, but anyone watching her perform should be grateful she's eating enough to keep the energy up. Do we really want to draw the conclusion that a person's weight should carry any weight to how much we value them? If so, I'm very valuable indeed. But worth every penny, obviously. For starters, the image had to be not only a romantic image, but also an image about romance. It's not good enough that I feel all warm and dizzy looking at it, Lord knows I get a bit like that on a regular basis looking at the oddest of things, but the subject of the picture should be love. Also, I immediately crippled myself by stipulating that the scene should be all sweet and no bitter. I didn't want some pretty image of a kissing couple if immediately afterwards they would die or be plunged in hell or go mad. You know, the usual stuff. Oh, and it had to be good. I have a terrible weakness for this picture, but we all know how it will end. He'll wake up with a hangover in an elfin grot, which kind of ruins the effect and sounds revolting. It has such promise of beauty, utter infatuated adoration and a good looking chap with shiny thighs, but goes so badly wrong. What about this then...? I love you! The dog loves you! Oh, you're dead in battle. What a swizz. I love you! Wear this armband! What do you mean, no? Oh, you're dead. Rats. I love you! I love you! I'm sure our families will understand! Oh, we're both dead. Well, it didn't look that dodgy in my memory, for some reason I thought he was carrying her to safety and I think we should move on swiftly. 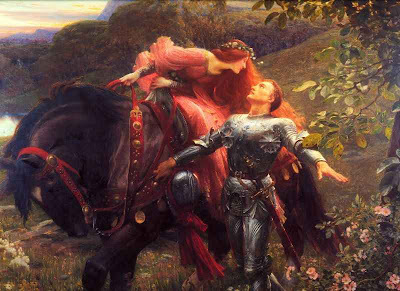 There must be something, surely one good romantic picture came out of the nineteenth century, without anyone dying or being carried off by an extremely muscly man or become a victim of a religious purge? Look at these two, all married and happy, how lovely. However, I am left a little underwhelmed by them, jolly nice though they are. Could it be that I need a bit of tragedy to get me in the mood. That's a worrying thought. Why can't I feel warm and fuzzy about an image where no-one dies? Welcome back, Beloveds. To continue our long weekend of romance and merriment I bring you today's offering: Bad Romance. 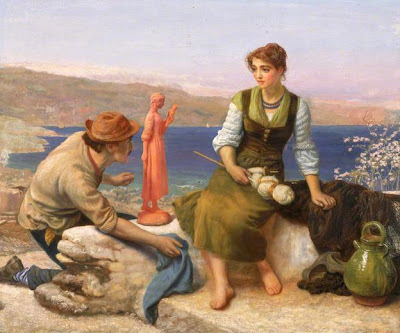 Yes, it's all very lovely, but you do wonder if the lucky lady is thinking 'I can't afford shoes and he gives me a statue, thanks for that...' There are moments where a box of chocolates might not be a bad option. Honestly, it's all very nice of him but she looks like she could do with a decent meal, not object d'art. Rather than 'Oh look, something shiny...', this is meant to be two people 'everso' in love. Well, he might be, she looks like she's thinking about her shopping list. 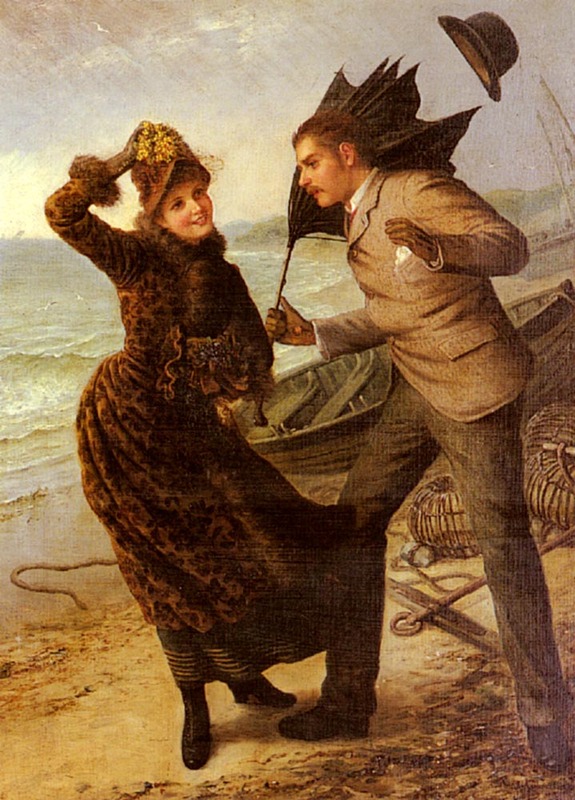 I do feel a bit sorry for this chap because it must be difficult to declare your love in a force nine gale when your brolly's gone inside out and your hat's blown off. He should just give up and go inside for a cup of tea, unless of course he's hoping her skirt will blow up above her head. Similarly, it's hard to be romantic with a stone in your shoe, although it does give you a good excuse to lean against the gentleman of your choice (she says, taking note). 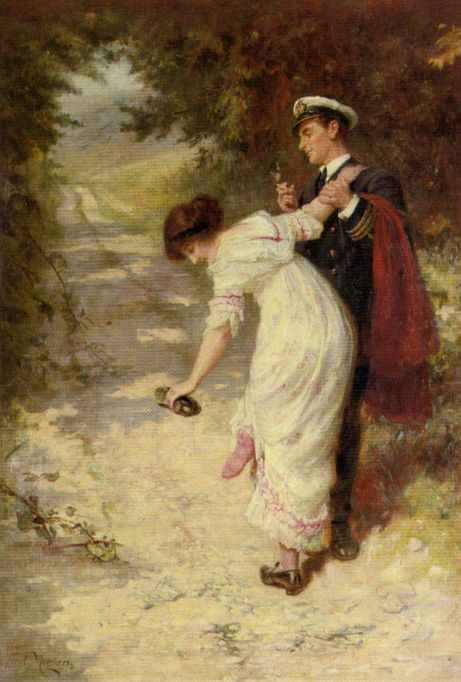 Mind you, you would have to pause whatever romantic conversation you were having to yank off your shoe and give it a good shake. I'm sure it is possible to achieve that elegantly, but I suspect not by me. 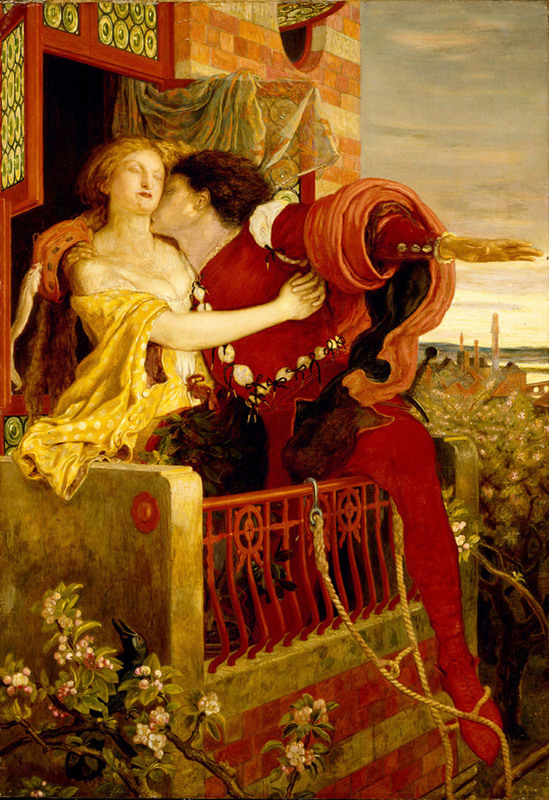 Nothing says romance like the sound of your brother being smacked round the head. The idea that some pre-teen boy in knee breeches is spying on you is enough to put the mockers on any romantic moment, so I'm not surprised she looks a bit distracted on the other side of the holey curtain. There is a hint that in a matter of moments he will find himself propelled through the curtain by the power of his mother's hand. Is that his mother? She's dropping her flowers in order to whack her son, which can't be a good idea. 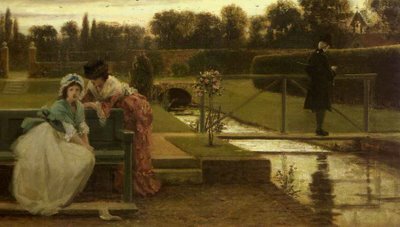 Tomorrow I promise to bring you a bit of lovely romance, of chaste yearning and sighing, of blushing and swooning and all that sort of thing. There will be no peeping snotty boys, no stones in your shoe, no skirt above your head. A Tender Moment is more our sort of thing for tomorrow, even if being taken in your lover's arms may mean losing a limb. Really, if your beloved is a fine country gentleman remember to ask him nicely to put his scythe down before he embraces you. Safety first. The Long Weekend of Love: Make Your Mind Up! Welcome, gentle reader, to The Long Weekend of Love! 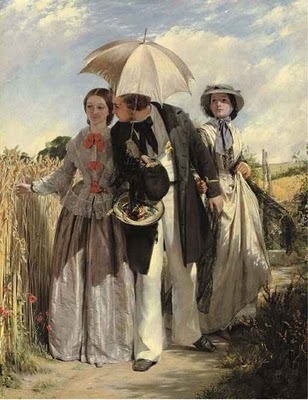 Away we go then - here we have two ladies and one gentleman; one lady flashes off her charming smile and red petticoat while the other one broods on how gentlemen like charming smiles and red petticoats. There seems to be a lot of objects discarded around the room in a metaphorical manner: our gentleman is a carpenter and his bag of tools is behind his chair. Miss Popular appears to have been working on her needlecraft, in the basket on the table, but some knitting lies discarded on the floor. Possibly it's our silent, brooding girl who is doing all the work while her sister chats up gentlemen callers? 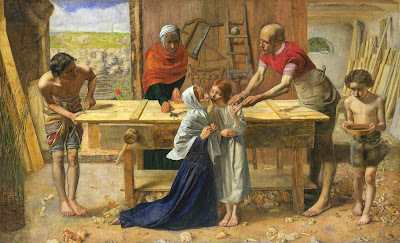 Personally, I think he's eyeing up the exposed leg of the table, peeping seductively out from under the cloth.... he is a carpenter, after all. The notion of two women competing for the affection of one lucky gent seems actually quite common in Victorian art, possibly a flattering notion for the art buying man. It does rather say that men are worth fighting your sister for in a Darwinian show of strength, and that idly sitting waiting for your handsome prince will not work. Come on girls, put a bit of effort into it! This one almost needs subtitling 'Oi! I'm sitting right here!' At first I thought it was his sister on the horse, but by the title, I'm judging her to be the girl who's really in love with our horsey chap, forced to look on as he offers a rose to the girl he's in love with. Gosh, isn't romance complicated? I wonder who the dog prefers? Well, this seems to be the story of my teenage years. I'm the one of the right, in case you didn't detect my embittered tone. Oh, is the path only wide enough for two? No, it's fine, I don't mind walking behind, seeing as you have already shoved me there, grumble, grumble, I shall have my revenge, grumble, grumble... Anyway, he only fancies her because he wants to share her parasol and not get freckly. You know how I feel about a man in tights. Anyhow, I digress. 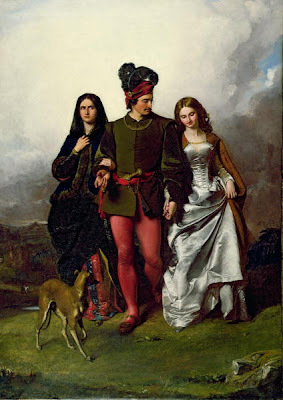 The story goes that there was once two sisters and a handsome man. Although the dark haired sister loved the man with all her heart, he actually fancied her blonde sister. So dark haired sister drowned Blondie, thereby cancelling out the competition. 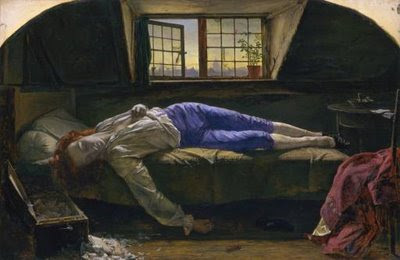 Blondie's body floated away and washed up on a river bank where it was found by some peasants who turned it into a musical instrument, with her hair as the strings. Yes, I know, but go with it. The musicians showed up at Brunette Sisters wedding to the handsome man and played a tune on the funny looking violin which just sounded like 'sister-killer!' over and over again and all was revealed. 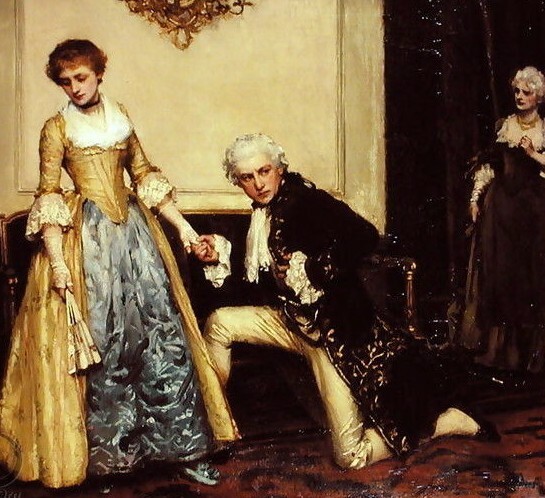 You have to question the intelligence or morals of a man who is willing to marry the other sister with quite obvious murderous tendencies just because the one you liked 'went away'. Mind you, look at those tights. Where was I? Anyway, the lesson today is don't cross a brunette, don't marry the sister, men look great in tights and big hats, and never underestimate what a woman will do to get hold of a man in tights and a big hat. Tomorrow's subject is Awkward Love! By 'we' I mean Miss Holman (Lady Adventuress and Character Assassin) and I, and we loved Paolo and Francesca. 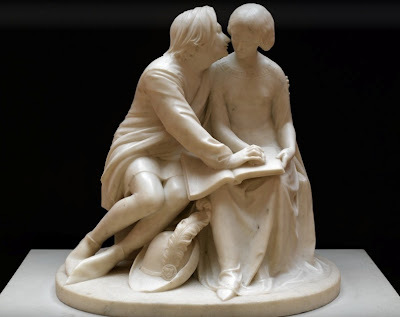 The thing about sculpture is you just don't get how damn lovely it is when it's just flat on a page, so for example you can't see the exquisite crown pin in the back of Francesca's hair, the soft frill on the neckline of her dress at the nape of her neck, the intensity on his face. Mind you, that hat is pretty knock out. How many times have I seen this picture? 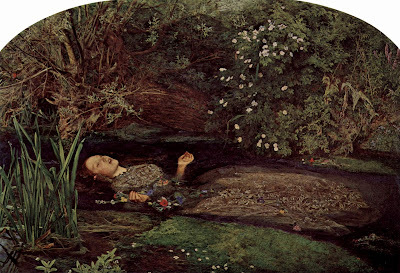 In print it must be thousands of times by now, and even in person, I've seen it dozens of times and yet never, I repeat, never had I noticed the little robin watching Ophelia drown. Yet, there he sits, bold as brass on the left hand side near the top. And he is lovely. 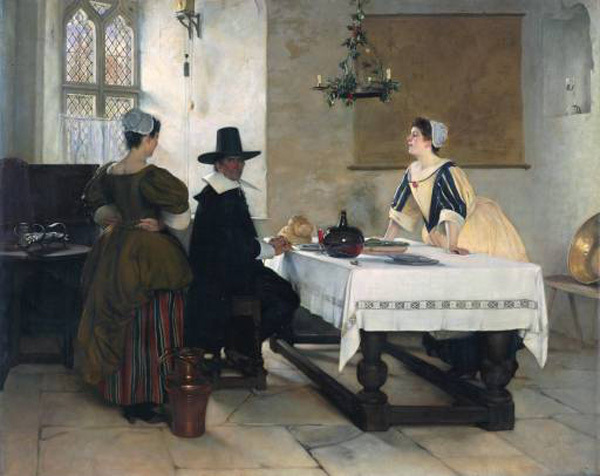 In fact there are a lot of the little details that can be seen clear as clear when you're in the same room, like the butterfly on the sword of The Wounded Cavalier or the woman selling oranges being hassled by the police in Work. So here we have Christ in the Carpenter's Shop from back in 1849, and we all know Millais got slaughtered for its outrageous, modern, daring style. I don't get it. I'm stood in front of it in 2012 and it just looks like a picture of Jesus having hurt his hand in a jolly fine metaphoric manner. What I needed was an example of what this was a reaction against, right next to it. I wanted some treacle-coated, English-speaking Madonna and child next to Millais' sideshow freaks, then I would get it. If this is 'avant-garde', show me how. Shock me. Go on, I dare you. 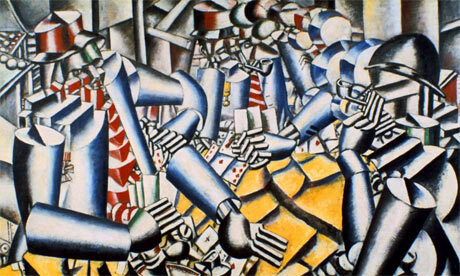 Connected to that, if these pictures are the birth of modern art, the avant-garde, show me what they influenced. According to the catalogue, a drawing connected to Rienzi influenced Picasso during his Rose period. How? What? 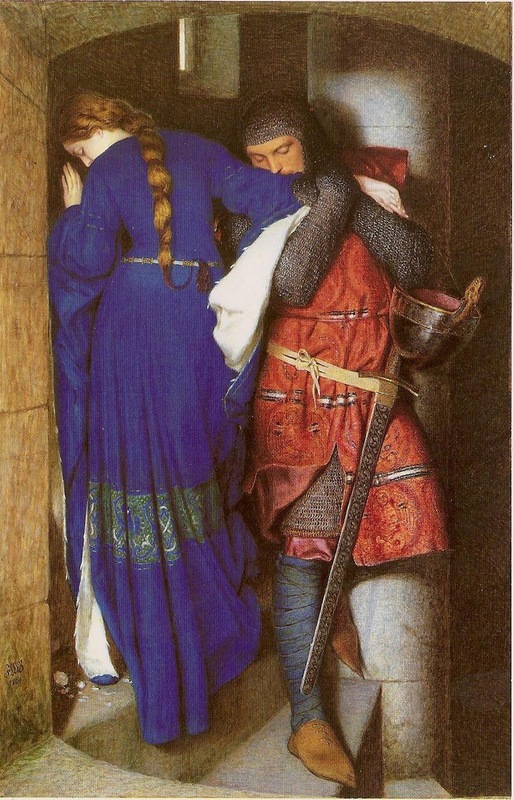 You can't say that and leave it if the thrust of your exhibition is that the Pre-Raphaelites are in the foundation of modern art. Show me how, don't tell me, I'm at a visual experience, I need to see it. Oh joy! Ding Dong, Jesus Calling! 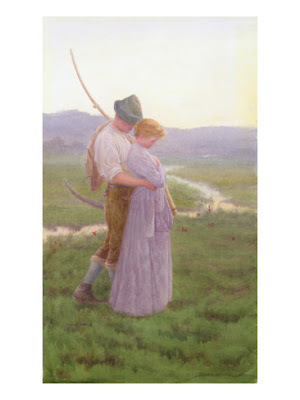 It is the first time I've seen them hung together and it was a pleasure, even though the meaning has been changed by Hunt's changing of his picture. 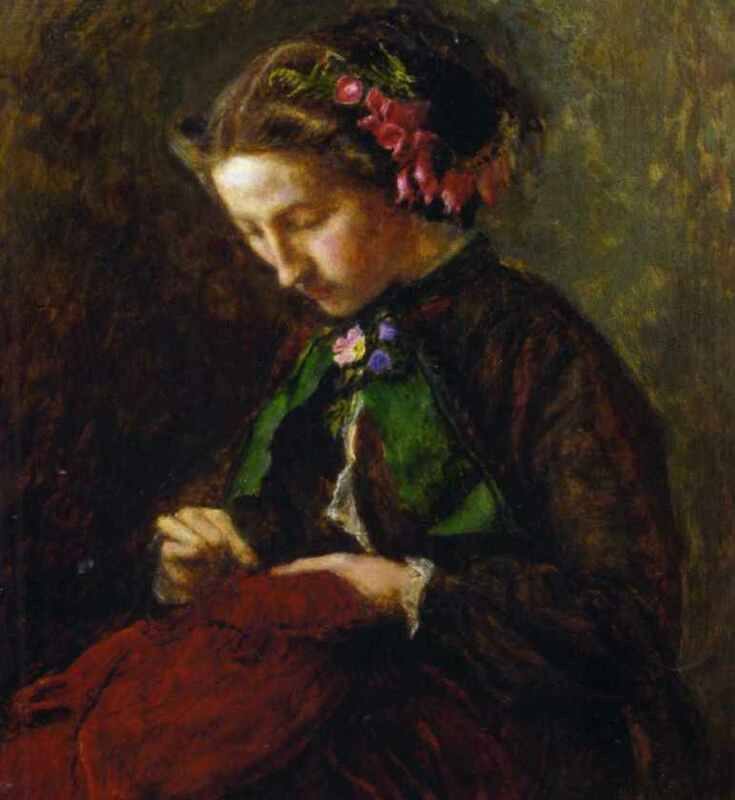 Now she's rising to accept Christ happily into her house and heart, a good little convert, a modern day Magdalene, which is possibly a fairer narrative than the original. As we know, the face was scraped and painted back for being too horrific, so our girl isn't rising in enlightened surprise, she is really jumping in guilt and horror because Judgement Day just came a-knocking. I think my question is if Pre-Raphaelite art is the germ of modernism (see what I did there? ), tell me why we've never seen it before? Why does it look so different, at what point (if any) did it stray from this path? 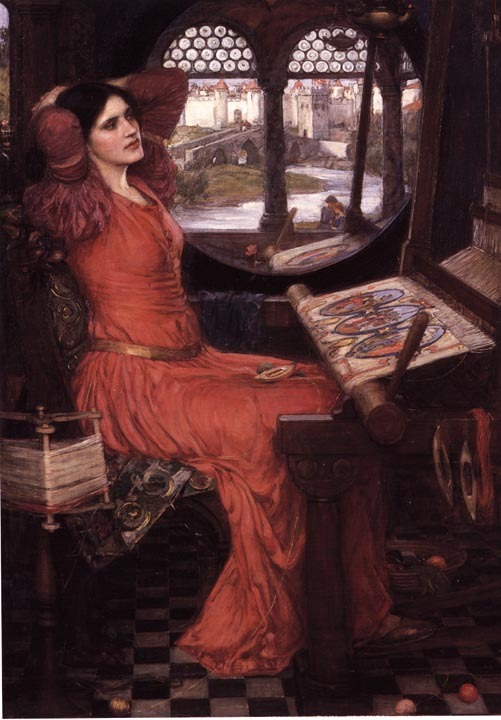 What does Waterhouse have in common with Leger because the one thing missing from this attempt to align Pre-Raphaelitism with the story of modern art was, well, modern art. I actually think it's a valid argument, but I don't think it was visually argued at all. 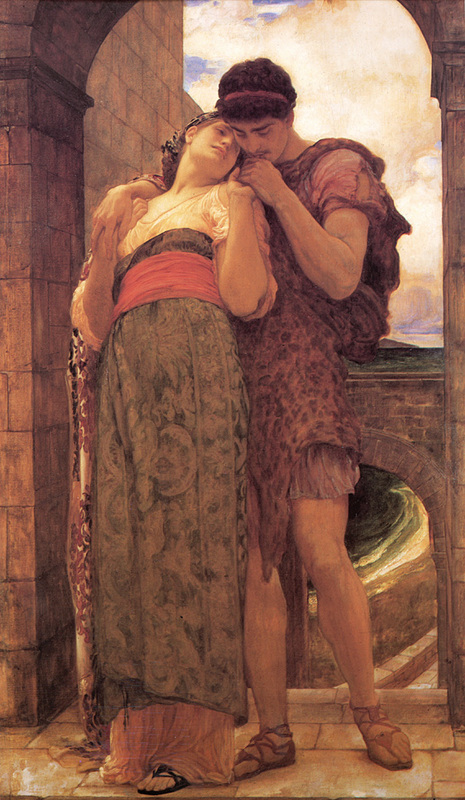 Not to mention the twin giant goddesses that are Astarte Syriaca (Rossetti) and Isabella and the Pot of Basil (Hunt) which have to be seen to be believed because they are enormous and splendid. Thank you, they were amazing. On a personal note, thank you Tate, from the very bottom of my heart, for saying the words 'Fanny Cornforth' without saying 'nuts', 'slinging' and 'spitting'. You even challenge the notion that she was a prostitute. Well done. She didn't come from a farm in Sussex, but you did far more than anyone else has ever managed in treating her well. When I saw the photograph of her and the mirror I could have cried. You treated her proper and I thank you. I'm almost done, but I have a question about the shop. We had our Avant-Garde, so where was my Kitsch? I wanted more fun things in the shop! I wanted an Ophelia pen where she floats about in the top half, like my beloved Lady of Shalott pen I had years ago. That was brilliant. Plus, you didn't stock my book in your shop, but I'm not holding that against you. Well, maybe a bit. We missed the more accessible things, the fun things, the cardboard William Morris who dances when you pull a string (yes, it exists). 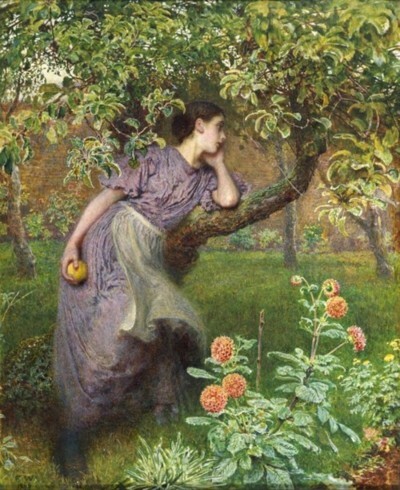 There was a claim in the pre-publicity that the merchandise would be special, but it wasn't specific enough, it wasn't something that would make me shout 'Pre-Raphaelite!' when I saw it. I liked the satchels and the beads, but really the only specific item was the scarf from The Beloved and it was £50. Where was my t-shirt? Yes, I am that shallow, but I still get happy from slipping on my William Morris tshirt from the V&A exhibition in the mid-90s. I'll leave you with the keynote to my blog which is thank you, thank you Tate, thank you for taking the time and effort to arrange the exhibition, and I know how long it took you because I heard about it a goodly while ago. You took a risk, you made it interesting and gave us plenty to talk about. 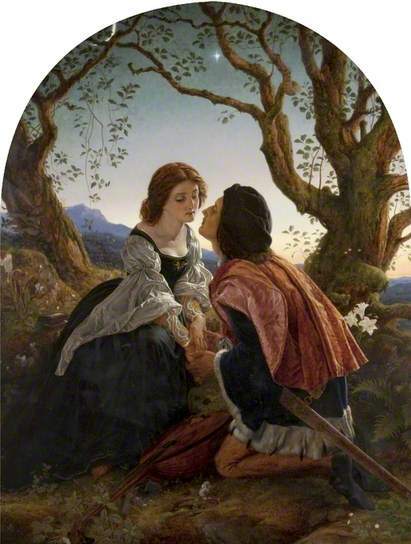 I don't agree with everything but you made me talk and think about it which is what I want people to do when it comes to my beloved Pre-Raphaelite art. The exhibition runs until 13th January 2013 and I thoroughly recommend a visit.